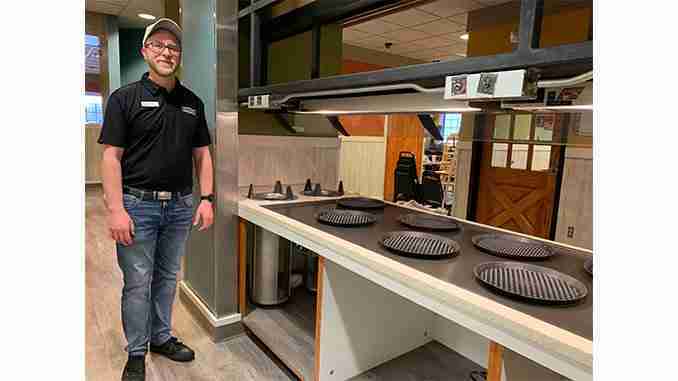 Charles City, Iowa – The building has the same outside look, but inside a whole new feel, concept and even food is coming to the soon-to-be-reopened Pizza Ranch. That’s Dustin Jentz, the operating and general manager, and he says the grand opening of the store has been moved back one week to April 22 to accommodate for the changes. Jentz, who owns the Waverly location, took over the building in January. They’ve cleaned put in new flooring, a wider buffet table and remolded walls. He says the grand opening will be exciting and hopes the changes make Pizza Ranch and warm, welcoming environment. The grand opening is set for April 22. From there, they will be fully operational with similar buffet hours, according to Jentz.